To be honest, I've gotten a little burnt out on the whole craft sales thing. My work day is pretty intense and it's hard to find the energy to make new things. It can also be very discouraging to see favorite items sitting there in your shop, going unsold. My husband had been experiencing the same thing but has been inspired by watching the Twitch creative streams. Originally geared toward gamers, Twitch has been great about supporting the creative community with the help of Adobe. It reminds me somewhat of Periscope and Facebook Live since the person broadcasts video of what they're doing and viewers can make comments and ask questions. The interactivity of it is perfect for the creative crowd and you can reach a much bigger audience. 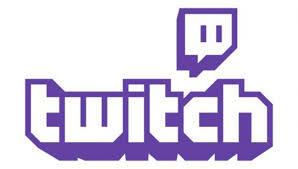 I haven't tried using Twitch as a creator but I have watched people doing woodwork, jewelry making, painting, graphic design, and leather work. The artisans come from all over the world, too! You can even make money on Twitch through the use of subscription and donation buttons. Etsy likes to remind us that people are interested in seeing our work space and getting insight on how we make our products and I think this is a good way to do it. What do you think? I may try Facebook Live first since there's no setup involved. Have you tried live broadcasting your creative work? What was your biggest challenge? I think remembering to pay attention and answer questions might be difficult at first. Let me know what you've tried and how it worked out.